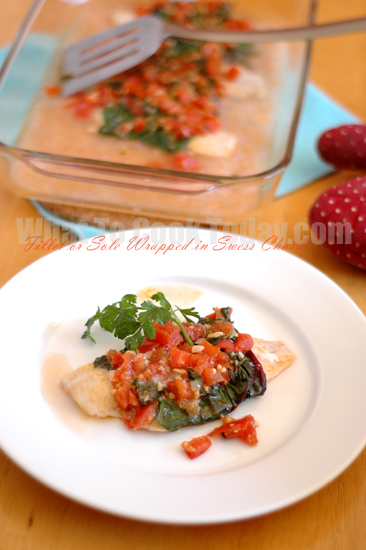 Fillet of sole wrapped in Swiss chard leaves is such a light and fulfilling dish. Like the Mexican dishes that I prepared before, Turkish dishes use LOTS of tomatoes as well. I personally a big fan of sole fillet. The flesh is so tender and melt in your mouth. Fiorina absolutely loves sole fillet as well. If you are concern about mercury level, sole is in the group of fishes with lowest mercury content. 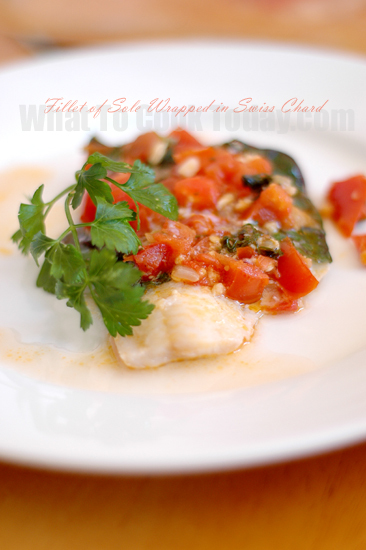 If you can’t find sole, you can always use flounder as substitute. This recipe is quite easy and quick to prepare and heart healthy. Another recipe from The Sultan’s Kitchen by Ozcan Ozan.